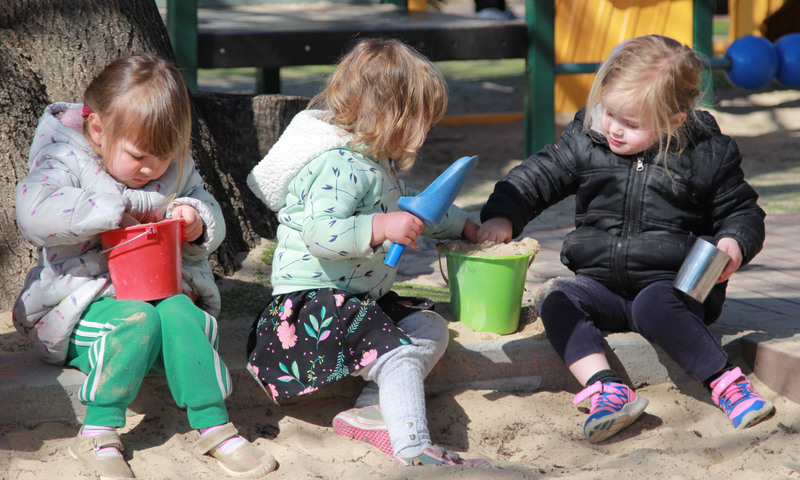 Wattle Early Childhood Centre in Lyneham is a community based non-profit organisation whose sole purpose is to provide early education and pre-school facilities to Canberra and surrounding communities. At Wattle Early Childhood Centre, we believe that all children will be recognised as individuals, respecting each child’s differing abilities and skills. We will support all children to become confident and capable learners, whilst building children’s self esteem through a wide range of learning experiences. The Yarran room is for our curious infants from 6 weeks to 24 months old. We love to interact with your child at this age as they are fascinated by touching different textures. They will go from commando crawling across the room on their arms, and shuffling on their bottoms, to running to great you when you come to pick them up. The Yarran caters for 12 children. The Nelia Room is for our ‘adult’ 25 months to 3 year olds. We love to listen to your child chat away as they develop their communication skills and we watch in awe as they climb over our famous obstacle course for the first time. The Nelia Room caters for 10 children. The Mulga Room is for our ‘nearly ready for school’ 3 year olds to school age. We will work to get your child ready for the next step of their learning journey by encouraging them to play, make friends, and to develop responsibility, independence and confidence. The Mulga Room caters for 11 children. To start the enrolment process, you must first apply to join our waiting list. Fill the application out and send it back via email, mail it to our postal address or drop it off at the Centre. Parents who are waiting for a place should confirm their application every 6 months. Centre tours can be arranged prior to applying to go on the waiting list, or at any time convenient to you prior to being offered a place at the Centre. Once enrolled at the Centre, if you are wanting extra days, changing of days or to enrol a sibling, your enrolment is prioritised over the external waiting list, so please ensure you notify the Centre Director of any changes you may need to your current enrolment as early as possible.